Great place with great staf...Review From Modern Messagesubmitted by Kaitlyn M. - Apr 10, 2019 |Recommended: YesGreat place with great staff amenities The only issue I had was parking. There just isn’t enough for the amount of residents that live here. This is a very cool facilit...Review From Modern Messagesubmitted by Valicia D. - Mar 28, 2019 |Recommended: YesThis is a very cool facility to live at. I am a freshmen going to FSCJ and it so far as been a great greeting to my college career. th location, transportation and staff are amazing. The post has just arrived a...Review From Modern Messagesubmitted by Drew H. - Mar 19, 2019 |Recommended: YesThe post has just arrived and in it a very nice surprise, the discovery that Jacques Seguela, one-time adviser to President Mitterrand, now close confidant of President and Madame Sarkozy indeed he intoduced them , and something of a legend in French political communications, has dedicated his latest book to little old moi. With apologies for the missing accents here and in the French bits of the long posting which follows – the dedication to ‘Le Pouvoir dans la Peau‘ Power in the skin reads ‘A Alastair Campbell, mon spin doctor prefere’ three missing accents in one word – mes excuses sinceres . I really enjoy Frassati and...Review From Modern Messagesubmitted by Dyrenna H. - Mar 14, 2019 |Recommended: YesI really enjoy Frassati and its amenities. I think its really awesome how they have a shuttle for the residents who don't drive so they can get to and from school. Also the 4-5 activities they do every month it cool and I always look forward to them. It’s a great community. Eve...Review From Modern Messagesubmitted by Jose G. - Mar 03, 2019 |Recommended: YesIt’s a great community. Everyone is so nice and friendly, so happy I am living in such a peaceful environment. I will be happy to renew my lease for my time in Jax. My experience at Frassati h...Review From Modern Messagesubmitted by Dyronna H. - Feb 06, 2019 |Recommended: YesMy experience at Frassati has been great. The staff is very nice and understanding. There are activities every month and the amenities are awesome. Test ReviewReview From Modern Messagesubmitted by - Feb 04, 2019 |Recommended: NoThis is a test review sent from Community Rewards. Feel free to delete. Very nice facilities and living spacessubmitted by Julie B. - Dec 13, 2018 |Recommended: YesIt is very nice, kind of expensive. Very close to campus, which is very nice and close to grocery stores. response from property - Jan 29, 2019 Thank you for your review Julie! We love having you as part of our Frassati Family! response from property - Feb 11, 2019 Thank you for your Review Thomas! With the laundry facilities being 24/hours our team cleans is fist thing when we open and before we close the office. We will look into further being able to update those facilities. Thanks again. response from property - Feb 04, 2019 Thanks for the review DeJuan. We have enjoyed having you! Great location, nice staff, nice apartments.submitted by Jared B. - Dec 04, 2018 |Recommended: YesGreat location, nice staff, nice apartments. The apartments themselves are really nice and overall I have enjoyed living here. The only issue with the apartments is that there is not enough sound barrier between units and you can hear your neighbors. I have been lucky because my neighbors are quiet and respectful. As far as parking, there are just not enough spaces.This can be an pain when you have late classes and come back and do not have a place to park. I think the staff are trying to address the issue and will be adding more spaces. 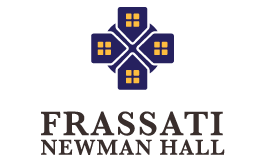 Every place has issues and Frassati Hall is still a decent place to live and I would recommend it to someone looking for a place near UNF and the Town Center. response from property - Feb 15, 2019 Thank you for your feedback Jared! We love having you with us. Looking forward to another great semester!